Reserve books can be borrowed from 11am 21st December, to be returned by 10.30 on Monday 14th January. The Scottish Evangelical Theological Society have agreed to allow biblicalstudies.org.uk to host the on-line archive of the Scottish Bulletin of Evangelical Theology (SBET). All issues of the journal, which began in 1983, will appear on the site ten years after publication. A new volume will be uploaded each week until volume 20 is reached. Volumes 1 – 9 are already available online and include articles by Nigel M. de S. Cameron, David F. Wright, Carl F.H. Henry, A.T.B. McGowan, Derek Kidner, Geoffrey Grogan, Alan Millard and Gerald Bray. The Scottish Bulletin of Evangelical Theology is also available in print at New College Library at Per S.
The Scottish Bulletin of Evangelical Theology is edited by Dr. David Reimer, from the School of Divinity, University of Edinburgh, and published by the Scottish Evangelical Theology Society in association with Rutherford House. 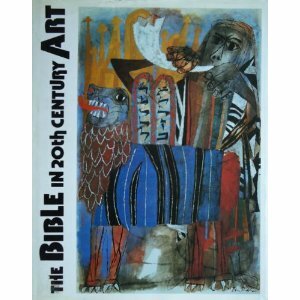 New on display in New College Library’s Funk Special Collections Reading Room, is The Bible in 20th Century art. It is opened to show a painting of The Nativity by Bernard Buffet (1961), the original of which is held in the collection of the Vatican Museum. 1. 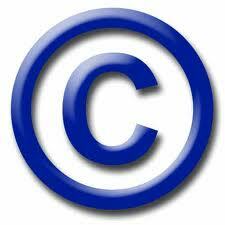 All reproduction from published material is subject to copyright law. The UK Copyright Service provides a really helpful factsheet. 2. 70 is the magic number – In UK copyright law, copyright for literary, dramatic, musical or artistic works lasts 70 years from the end of the calendar year in which the last remaining author of the work dies. For instance, as Aldous Huxley died in 1963, his works will not be out of copyright until 2033. 3. While downloadable versions of publications can be found freely available on the internet, always check the source and its terms and conditions. Some websites hosted outside of the UK provide materials that potentially violate UK law. Unfortunately if it looks too good to be true – it probably is. 4. The University of Edinburgh has signed up to a licensing scheme which allows photocopying from publications for individual research and study. This means copies can be made of up to a chapter, entire article or 5% of the publication, whichever is the greater. 5. The University of Edinburgh ereserve service has a licence to allow the scanning of book chapters and journal articles to be made available to classes for teaching purposes. It is the only legal route for scanning published materials to make them available to groups at the University. 6. More information can be found at the University of Edinburgh’s Copyright Service, including a contact e-mail address for enquiries.